Could this make it to India? According to a source at Yamaha Asia, who said that the Yamaha MT-3 will make a good chance to be introduced in a few Southeast Asian countries. The Yamaha MT-3 borrow its heart from the Yamaha YZF-R3. 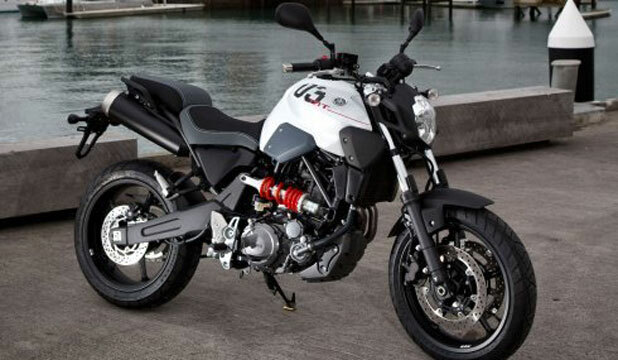 The Yamaha MT-3 is still some time away, as the model will first be shown at the EICMA motorcycle show, in Milan, by the end of 2015, so it should be showcased at the 2016 Bangkok International Motor Show. The styling stays true to the MT family, with a single headlight, while the rear is carryover from the YZF-R3. The twin-cylinder, 321cc engine will make the same 41.4 horsepower and 29Nm of torque as its faired sibling. The Yamaha YZF-R3 is currently already available at the dealers, but you probably will have to wait till the end of 2016 to see the Yamaha MT-3 on the road in Thailand. Our Yamaha contact informed us that the Yamaha MT-3 will be priced aggressively as Yamaha will try to eat into the established market share of the current market leaders.